This is a guest post from Samir Balwani of Internet Marketing blog Left the Box.com. It feels like every day there’s a new post about Plurk, Twitter, or some new micro-blogging platform. They’re always heralded as the next big social media hit, the best on the web, or something killer. The truth is, they’re not. Most of these platforms are too young to be killing anything, and are generally unfinished. Twitter has major problems with uptimes, Plurk is missing some major features, and Brightkite is having issues with Verizon. My biggest problem with all these platforms is that they’re based on the same general idea, to update people on your location, latest thoughts, or what you’re doing. But they all shy away from implementing features that worked, from other services. Karma – an awesome feature that keeps people engaged, and gives users a goal. It’s something to work towards, and opens up other options. Intuitive Timeline – the timeline is great because it offers you a way to visualize thoughts and Plurks as they show up on your screen. Threaded Comments – one of the largest feature missing out on Twitter was the ability to actually respond to someone. Plurk introduced a comment system which helps create a conversational feel. Embedded Pictures and Videos – lets you see media instead of just a link. Although a purely aesthetic feature, it helps the feel of the timeline. Cliques – the cliques feature on Plurk is really disappointing and leaves a lot to be asked for. But it’s a step in the right direction. Multiple Timelines – right now Plurk allows you to see your own Plurks, and private Plurks. If they expanded this to include clique Plurks, Plurks with keywords, or other dynamic timelines, it would be perfect. For now, much like cliques, it’s a step in the right direction. API – an open API is so important. Twitter went about this in the right way and it’s opened up a host of new applications, tools, and scripts. Instant Messenger – a lot of people like to have their messages sent instantaneously, and dislike waiting for the API to refresh. Twitter was able to cater to these people (myself included) by introducing Twitter IM. It’s an absolutely important tool, and it brought an immersion into the site even when I wasn’t on it. you receive a message, and can also Email or IM you. easily later, should be one of the first features implemented. 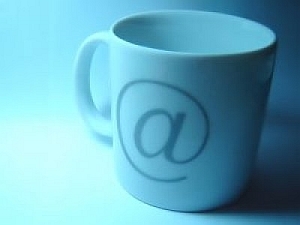 Email and SMS – mobile web is definitely the wave of the future. Making sure your site is not only accessible on mobile phones but can interact with them is extremely important. People don’t like to be disconnected. Make it so they don’t have to be. Picture Messaging – people love picture messaging and they love sharing it with others. The ease of uploading an image to your timeline on Brightkite makes this a must have feature. Map Check-in – the google maps mash-up that Brightkite implemented is great. It lets you visualize where people are, as well as know what they’re doing via notes. So there you go. Want to really be the best micro-blogging service? Be the first to have all of these features, or just take over companies that already have them and make Plutter Kite. very interesting analysis of these platforms! thank you for sharing! Great post. It’s sad, but true. So many of these services have one or more things the other doesn’t which is why I think we are all stuck using each of them separately. So now the question is…Who’s going to develop Plutter Kite? We’d all love them for it. The one thing I’d have to disagree with though is Karma. Sure it’s an incentive and people get ‘rewarded’ with features/extras but I think ultimately its a distraction. There’s been much talk about people gaming the system and worrying about their karma, thus plurking about them losing (or gaining) karma points. In my opinion, it has created less value of the service when such an emphasis is put on that one feature. Good post, but Plutter Kite needs more. Some UI genius has to come out with a program that integrates social network updates, chat, blogging, and micro-blogging into a small easy to use interface like Adium. All this communication and web socializing takes too much time (even if it is fun). Well written. We all would like to have it all in one place, so just wait and see who implements those features described above as the first. Sign me up! Who’s putting in the VC money? Recently followed Tamar on Twitter. She’s “Bright Tweeting” and even captured a G-string on the freeway last week. A fruitful overview. Which can be used as – a part of – a checklist, when developing the ultimate microblogging application. Thank you for that! I hear Google made an offer to buy Plutter Kite for $6.4B! Don’t sell! Add health records and Social Security #s to Plutter Kite, and Google will double their offer. It’s funny you’d say Plurk is missing major features. Maybe I just use these things in a limited context, but it seems more feature rich than Twitter by far … the time line is especially interesting. The main thing that seems missing from Plurk is the community and visibility a lot of other sites have attracted. 1. broadcast and share your emotions with your family, friends and with the entire world. 2. Make yourself heard, comment on news, stories and current affair. 3. Share your experiences, memories and events with your friends and family. 4. Connect with different people with similar emotional attributes as yours. 5. Jot-down your experiences. You usually have so many things to say – a constant stream of thoughts, comments and observations running through your head continuously. 6. A wonderful TIMELINE that arranges your messages in a chronological order date by date. Sometimes, the important connections we make are the ones we make with ourselves. I am so glad to see PLURK valued somewhere! I’d never heard of it before stumbling onto it while, of course, searching something else. The term itself–PLURK is just one of those great juicy words–and it’s a fantastic, fun microblogging/social networking tool. I don’t feel like I am just wasting time wading through endless, pointless tweets on Plurk. I can post what I want, answer, read, in a totally easy to understand visual navigation format. BRAVO, PLURK! Should You Stop Sending Newsletters and Focus on Blogging?